One of the things we love best about our new home is its close proximity to some incredible farms and orchards. 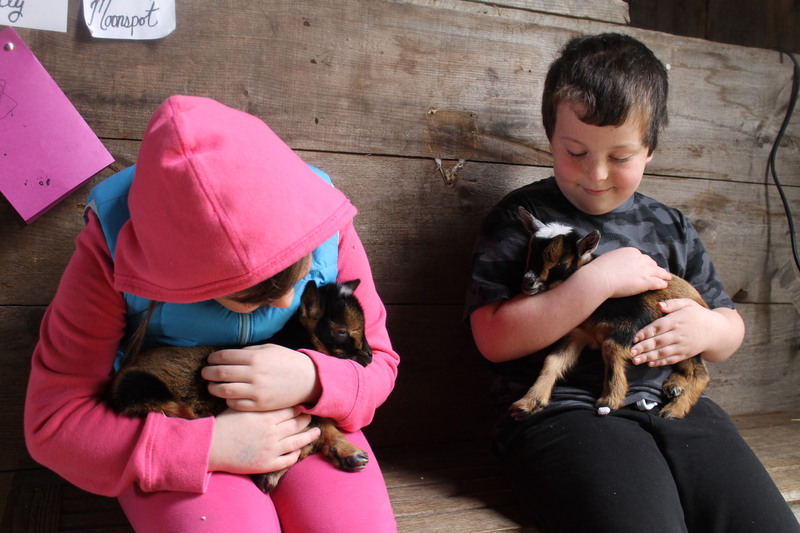 The team recently stopped by Sunflower Farm & Creamery in Cumberland to visit with their newest baby goats. 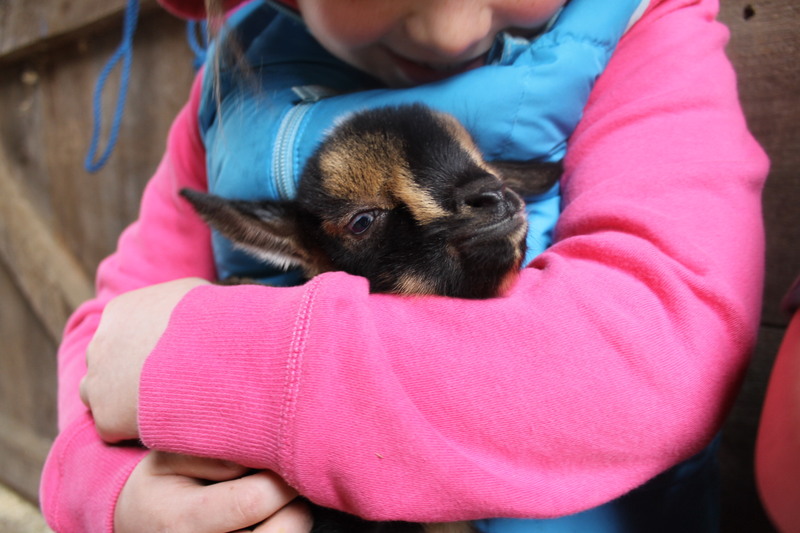 Owners Hope and Chris Hall regularly open the farm to visitors, so children and adults can enjoy spending time with the babies. And boy, did we ever. Clearly, the Cute Potato kids were smitten. They asked MP and DP multiple times if we could bring one home. MP suggested we visit the farm more often! 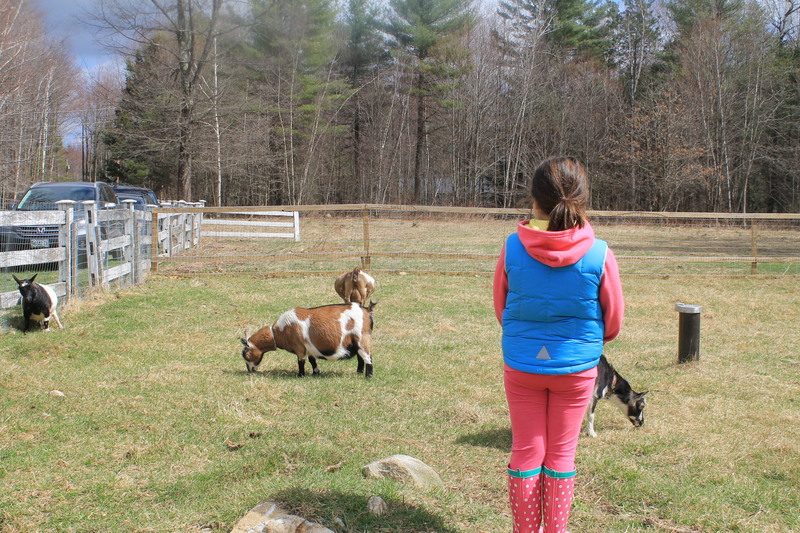 After leaving the baby goats behind, we visited the farm yard and the grown-up goats. They were just as sweet as the kids, and lots of fun to watch. After such a great visit, we’re all looking forward to Saturday, May 17 — the day the farm opens its creamery for the season. 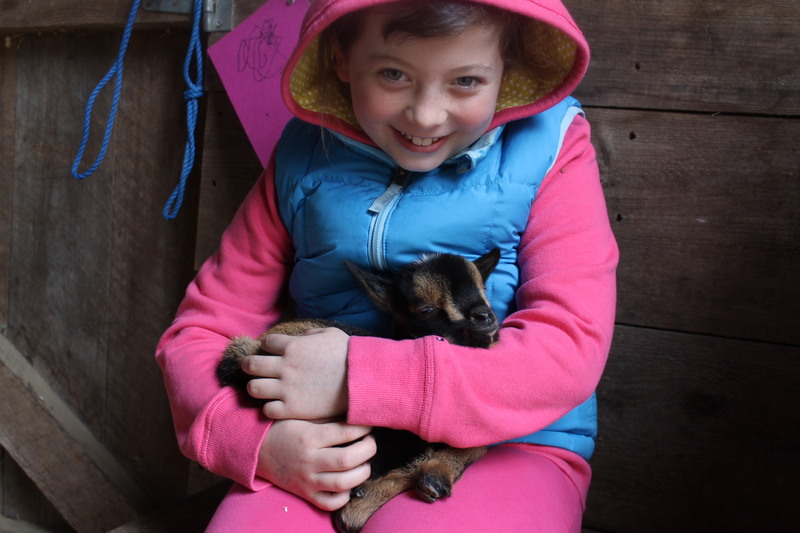 MP is already dreaming of fresh chevre, feta, and decadent cajeta (caramelized goat milk). 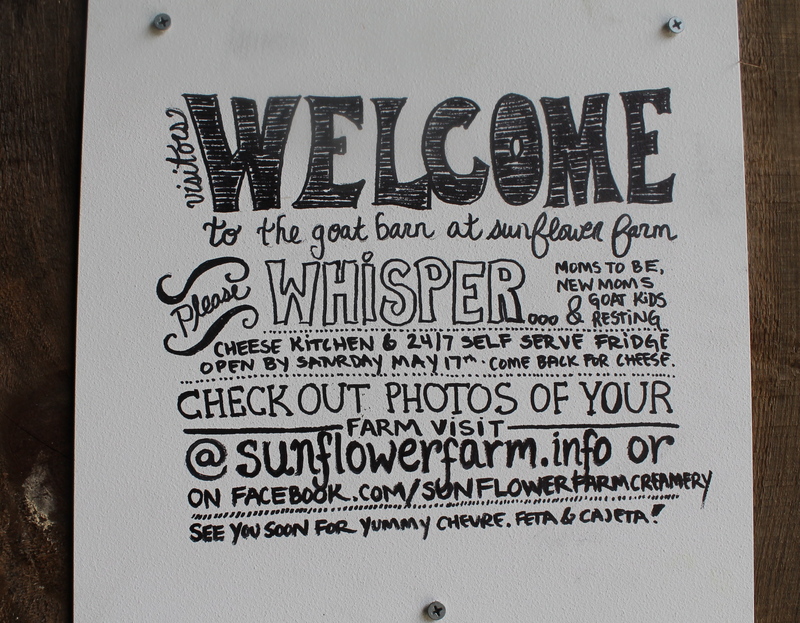 And if you’re interested in learning how to make your own cheese, Sunflower Farm offers classes in July, August and November. Check their event calendar for listings. 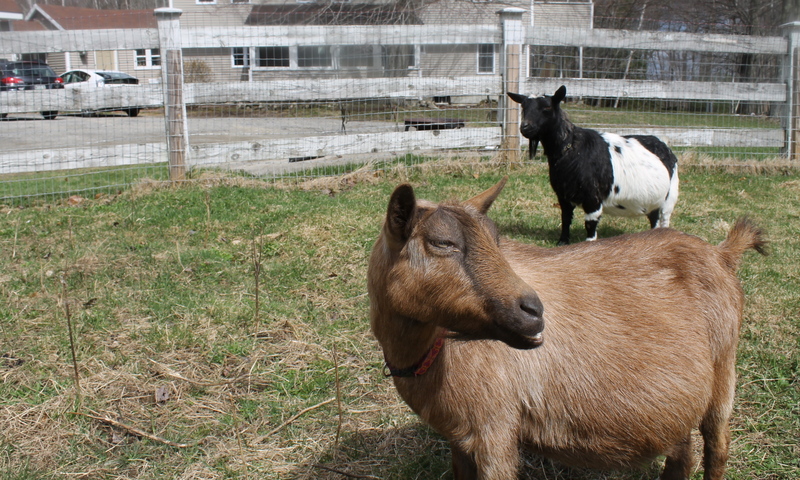 PS: Have you visited another great goat farm or creamery in Maine? Tell us! We’d love to include the locations here. Our pleasure, Hope! 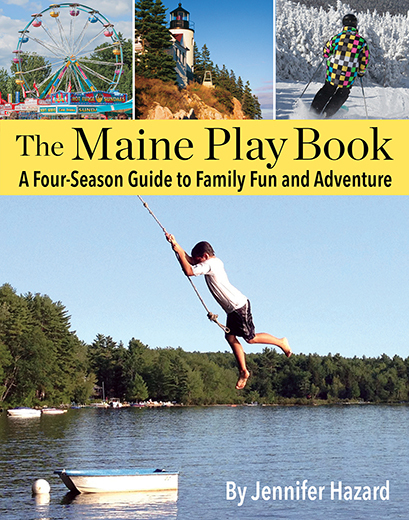 We are thrilled your farm is close by… can’t wait to try the cheeses!